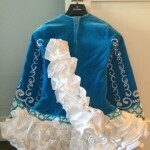 Blue and white Siopa Rince. Blue velvet, white cupcake skirt, great sparkle on stage. 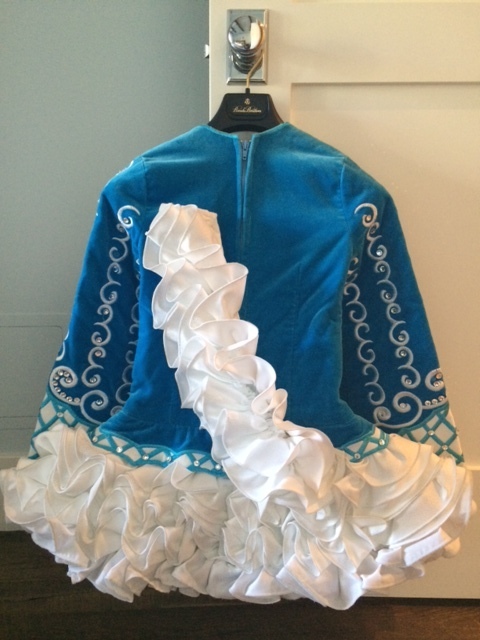 Includes sash, blue bloomers, blue headband and 2 blue flowers. Daughter wore age 10-11, weight 70-80 lbs. 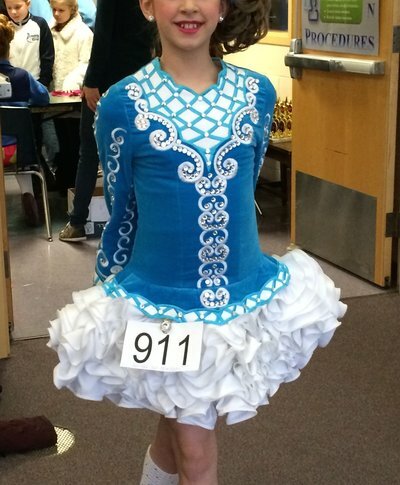 Dress now too short and she’s 5′ tall. A few crystals missing (4 on back, 1 on front) , so price has been adjusted to compensate. White skirt recently professionally cleaned – in excellent condition! Measurements are of dress laying flat. Asking Price: $US500.00. Shipping costs are included for my own country, overseas shipping is extra. Sale is final.